Drone Regulations You Definitely Should Know! There is not much you can do wrong with a little consumer drone, can you? It’s small, it’s not dangerous and it’s fun. However there are several rules you should definitely obey when using a drone. 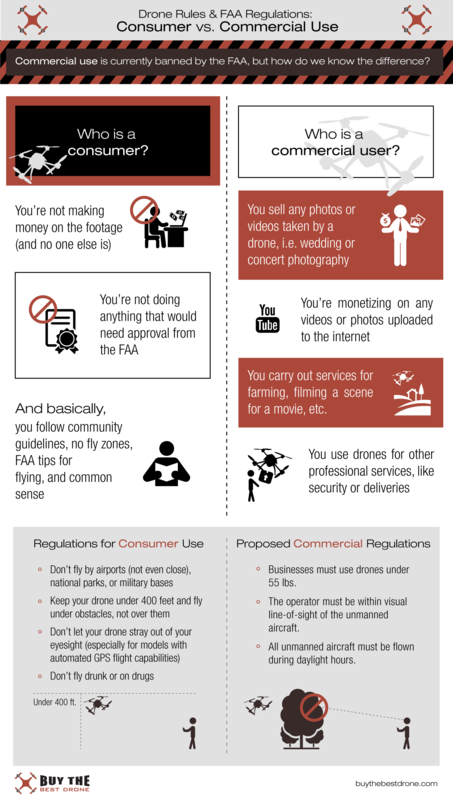 The infographic below from our friends at “Buy the Best Drone” provides a great little summary of regulations and a good comparison of consumer and commercial use. The rules are based on the FAA regulations from the US but are very similar to the ones valid in many European countries. In addition to the stuff mentioned in the infographic you should also apply common sense when controlling a drone. It may not be in the list but filming the nice lady from two blocks away getting out of the pool in slow motion is not quite appropriate. However dropping a little note from your drone asking her out might just be the right mix of unconventional and a little nerdy to work. 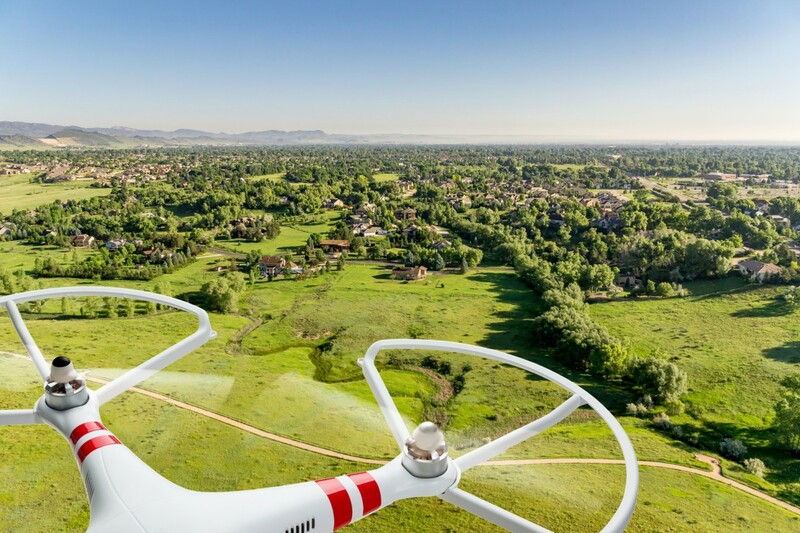 Whatever you do with your drone never steer it out of your line of sight and always keep some distance to persons in order to prevent injuries. For additional resources and a comprehensive drone buyers guide check out the information on Buy the Best Drone’s website.